Comment: Samuel’s work in the Temple is a great example for children that they can serve people in important ways, too. 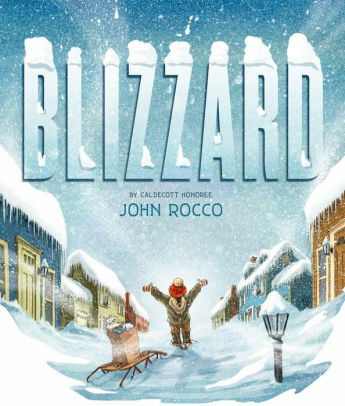 Rocco’s story is based on his real-life experience as a ten-year-old during the Rhode Island blizzard of 1978. When 53 inches of snow fall on his neighborhood, it’s days before the snow plows can dig everyone out. Eventually, as supplies dwindle at home, the main character realizes he’s small and light enough to travel across the snow to get food his family needs. As he traverses the neighborhood, he checks on neighbors, who add things to his list. His selflessness helps him to focus on his mission and he is able to get everyone the things they need until the plow comes through. This book gives an example of a child doing something big to help out the people – even the adults – around him. Comment: This passage from Colossians highlights our communal life together, exemplified by mutual forbearance and forgiveness. In The Hardest Word, a fantastical creature called the Ziz makes a clumsy mistake, knocking over a tall tree that crushes the children’s vegetable garden. 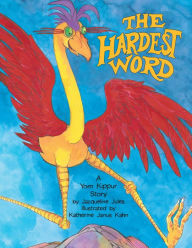 The Ziz asks for help, and God tells him, “I want you to search the earth and bring back the hardest word.” The story recounts a playful back-and-forth, with the Ziz trying words like “spaghetti,” “rhinoceros,” and “rock.” Finally, he comes back to God with no words, saying only, “I’m sorry,” because he has failed at the task. God helps him to see that “I’m sorry” is the hardest word, and the Ziz is able to apologize to the children. This story takes seriously how difficult – and how necessary – it is to apologize. Comment: One of the lifelong qualities that defines Jesus is his curiosity and willingness to explore. In the gospel passage for today, we see him as a child, drawn to the Temple, where he asks questions of the teachers. This curiosity would lead him to question lifeless customs that led only to excluding others. Curiosity, in itself, is something we want to cultivate in children – especially when it comes to their faith life. 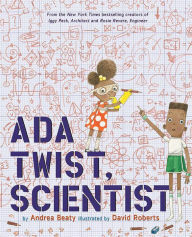 Ada Twist has lots and lots of questions that help her to understand the world better. Even when things don’t go as she’s planned, she still learns something by exploring and investigating. This story will empower children to think critically and examine even the smallest things in their lives. Thanks to Joshua Andrzejewski, Union Presbyterian Seminary alumnus and chaplain for the pediatric and women’s health units at the VCU Medical Center, Richmond, VA, for writing the Revised Common Lectionary Links for us for the past four weeks. Lectionary Links (RCL): December 30, 2018 by Storypath is licensed under a Creative Commons Attribution-NonCommercial 4.0 International License.